The above heading is not in reference to extracting juice from a citrus fruit, but rather to the Orange Colour City Running Festival in the central west of New South Wales. While the pun may be mediocre at best, the aforementioned festival was the antithesis of said play on words. It happened to be the run that would be the culmination of my eight-week 5km training plan and one that I hoped to d well in. Having recently set a new personal best of 24:47 on an athletics track, I was realistic that I would probably not break that but I did hope to go sub-26, hopefully a low 25. A quick drive around the course the day before quickly made me think that my estimations may have been a little ambitious. A couple of decent inclines towards the latter part of the run would make things interesting. From the online entry to the finish line, the organization of this event was flawless. I would highly recommend it to anyone who enjoys the environs of a country town and a friendly, well-run event. If there was one slight hitch with my 5km run it was some competitors approach to self seeding. With over 1000 runners lined up for the start, there were signs with your estimated time on them. I put myself in the 20-25 minutes zone but was surrounded by young children. I do not doubt for one minute that there is plenty of primary school students who are faster than me over 5km, but I was surprised that there was seemingly whole classes. Once the run began it became obvious that they'd simply wanted to be up the front. Trying to weave a path between them was absolute madness. Some stopped suddenly, some cried out that they had a stitch after 200m, others walked. It was actually quite dangerous, hoping that you would not trip over someone and cause serious damage to one of them. It must have been frustrating for organisers who had gone to great lengths to ensure a smooth start. After about 800m I'd managed to find a bit of space to move and really started to enjoy the run. It was a beautiful course with the race run in warm conditions but free from the humidity I was used to in the coast. I was hoping to set up my time with a nice, quick opening kilometre as it was partly downhill and mostly flat. While 4:30 was something I had in mind, I was not disappointed with the 4:46 that I churned out. The fact that I was able to back it up with a 4:49 and a 4:47 was very pleasing. 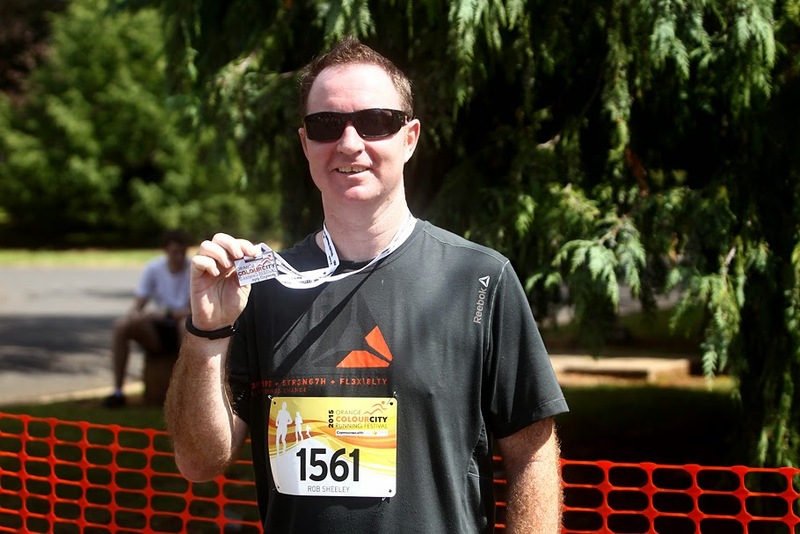 My fourth kilometre had been notoriously bad so I made a conscious effort to maintain the quality and managed a 4:59. I was on track to break 25 minutes and possibly even give my PB a nudge. Them last kilometre found me out, I battled and felt like I was losing grip on all the work I'd done. I knew it was going to be over five minutes but tried my hardest to squeeze out what I had left to minimise the damage. My partner was waiting about 300m from the end and her support helped me find a bit to get home as well as could hope for. The result was great for me. I'd set a new PB of 24:38, shaving nine seconds off my track run. 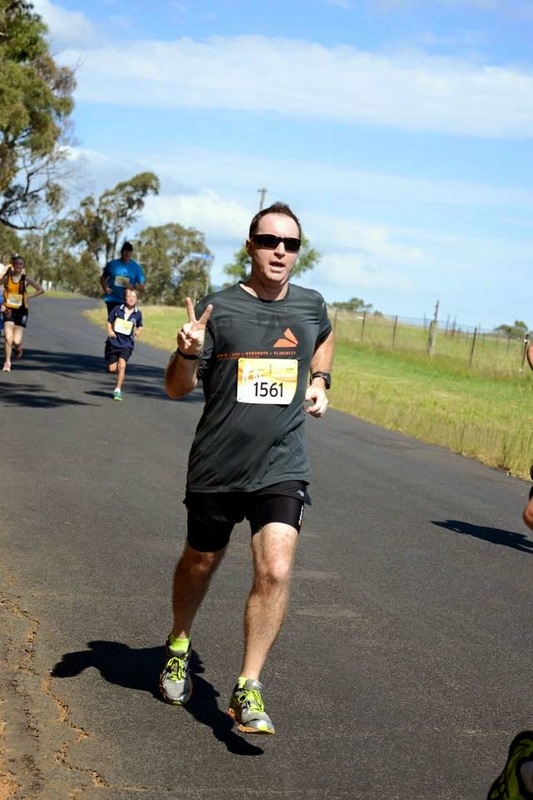 I felt like I was getting closer to running a full 5km although the last part of the race had found me out on this occasion. I was also left wondering if the days of taking big chunks off my PB’s were over and that it will only begin to happen in small increments. It is inevitable that it will happen and there is every chance that it will be sooner rather than later. For me, the most satisfying parts of the result were twofold. Firstly the fact that I had beaten a time that I set on a track whilst running on a road course with hills and secondly the knowledge that I still had some improvement in me if I worked hard. Running - 21.2km in 1:59 with an elevation of 130m. Cycling - 40.3km in 1:42 with an elevation of 237m.